Encounters between people and wildlife in our national parks can sometimes go wrong. That’s why the National Park Service is enlisting some very special rangers. Gracie is just one of this new “breed” of park employees. 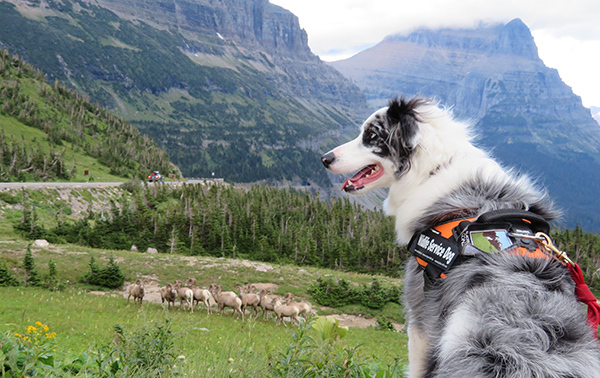 She works at Montana’s Glacier National Park, is only two years old and walks on four legs. A border collie, Gracie trains wildlife to stay away from popular areas in the park and teaches visitors how to safely view the animals. Specifically, she herds goats and sheep that like to lick up the sweet-tasting but poisonous antifreeze dripping from cars and eat the salty snacks tourists leave behind in the Logan Pass parking lot. Park ranger Mark Biel, Gracie’s partner, says that when he’s alone people rarely come up to talk to him; but if they see Gracie, they’ll approach to pet her, and that opens the door for a conversation about how to keep them and the wildlife safe. Gracie’s employment has its precedents. In the 1990s, Glacier used specially trained Karelian bear dogs to shoo bears away from roadsides, keeping succeeding generations of bears from learning bad habits. And Canada’s Waterton Lakes National Park—Glacier National Park’s neighbor on the border—started using bark rangers in 2009 around aggressive deer protecting their newborn fawns. The track record for the bark rangers in Waterton is good. Goats and sheep move away farther and stay away longer than when rangers use other methods, such as firing empty shotgun shells, waving bags, shaking rock-filled cans or yelling. And using dogs with habituated deer rebuilds the prey animals’ natural wariness of predators. Within a few years, hostile encounters between deer and people in Waterton fell from 40 each season to just four. Watch the video below, produced by Parks Canada, about bark ranger Jill in Waterton Lakes National Park. 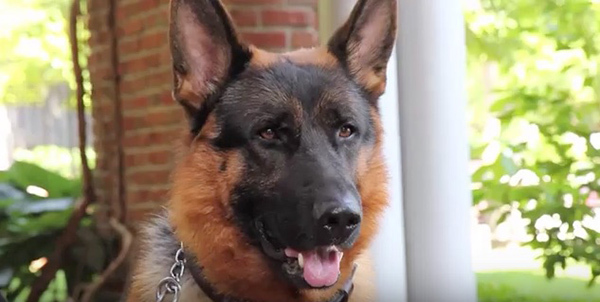 In the second video, you’ll learn about another bark ranger: Ken Franklin, a German shepherd trained to detect explosives, who is now working at Independence National Historical Park in Philadelphia. Gracie and Mark Biel visit the Logan Pass parking lot only once or twice a week so the wildlife doesn’t get used to Gracie’s presence. 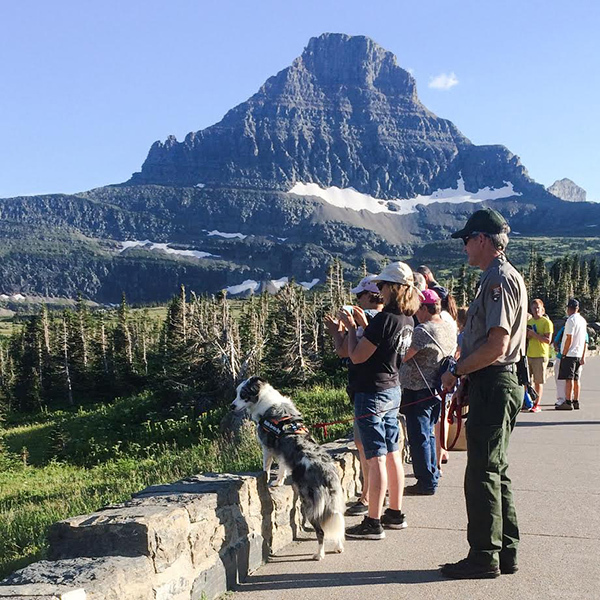 While you may be able to see her on a visit to Glacier National Park next year, you can always get in some “playtime” with her on her Instagram account at barkrangernps. I am obsessed with border collies. This just intensifies the obsession. Great article calling out the working dogs supporting the national parks and monuments.